I don't often get emotional over books (John Green used to be the only one that could make me cry) and I especially was not expecting to become emotional over LotR, as I was already quite familiar with the basic story and Tolkien's writing style did not really feel full of emotion. It felt to me as though he was relaying a story But, obviously, I did get emotional over this final book and I am happy to admit so. A strong story is one that moves you in some way. I loved reading the first two books, I loved the stories and the characters and the writing, but I was never really too emotionally invested - it's such a mammoth story with so much context and history behind it, it took me until the third and final book to settle into the tale and be totally captured and involved in the character's story. I was full of anticipation and anxiety, despite knowing how the tale would ultimately end. For this reason, The Return of the King is my favourite book in the trilogy, or my favourite part in the book of The Lord of the Rings. The characters went through so much to get here, this last book is what the story is all about. Ironically, the third movie is my least favourite because it is so darn sad. But the book contains so much more, the storytelling is masterful, the conclusion is perfect, the characters stole my heart, and I was able to totally immerse myself into the story for the first time. It isn't so much that RotK was emotional for me, it's more that that book represented the - actually. You know what, I think I'd rather just think of The Lord of the Rings as a single book, as it was intended to be. No more comparing one book to another. I love The Lord of the Ring, this story as a whole, this epic tale, this masterpiece. I've never read anything before that I would describe in such a way. Compare LotR to many other fantasy trilogies - often each book follows a specific adventure, or the original hero's son, or something like that. This story deserved the three books, the thousand pages it filled. It's not a trilogy - it's an 'epic tale'. (Oh god, shoot me now, I can't write.) I love LotR because it's such a sweeping story but every part of the story is part of the story (hurr =.=). There is nothing that comes close to the scope of LotR. There is so much history, so many stories, contained within this single text, and yet the tale of The Lord of the Rings can stand on its own. Tolkien has created a world, a story, stories, hundreds of stories, that no one could ever rival. Now I'm just rambling all over the place. Does anyone know what I'm talking about? It's the scope of LotR, it's context in the greater history of Middle-Earth that astounds me, but also it's containment, this brilliant, sad tale of four hobbits going on an adventure. The balance between the two is a great part of The Lord of the Rings appeal, I assume. There were a lot of passages, bits of dialogue, lines, that I really enjoyed and that moved me emotionally in The Return of the King. This is likely to do with the build up of the story and how much emotion naturally occurs at the end of a story. I write notes while I read a book, I think in this case it'd be best to transfer my notes almost exactly as I made them (just going to develop them into relatively full sentences for readability :P), they give a good impression of my immediate reactions while reading - in fact, my notes are probably a lot better than anything I've written from the top of my head in this post so far XP (page numbers refer to The Lord of the Rings 50th Anniversary Edition). Minor spoilers in this list. Pg 914 - This segment was really rattled for me - like the idea just hit me, how they honestly believe they won't see tomorrow, that they'll never go home, that they'll never accomplish this task. How devastating would that be? And yet they go one because they must. This realization of mine made me tear up, because it's not just Frodo and Sam who trek on without knowing, there are millions of people in our world who must do they same. Heartbreaking, reality is. Pg 975 - God, I love all the endings and conclusions and wrapping up that's happening. Some people might find this anti-climactic, but not me, I love it. I want to know how everyone ends up at the end of the story. A good example of this is the exchange between Gimli and Eomer about Galadriel - I laughed out loud! It was just so refreshing and lovely to read such a carefree exchange between the two. Continuing on with the endings thread, I think it's great that Tolkien including the journey home and 'The Scouring of the Shore' - this is so significant, the story coming home, the hobbits' using their new experience, and fianlly returning to their old lives best as they can. Pg 996 - Wow, was not expecting this bit of dialogue. Speaks volumes about Bombadil's character and Gandalf's greater role, if you wish to read into that. Pg 997 - This is description is spot on, it perfectly describes how conflicted I felt at this part. I was caught between what Forod and Sam each felt. I'd also like to take a moment to note how I will also be forever in debt to Howard Shore. His music is absolutely stunning and does a far better job at conveying what this story means to me than I could ever convey in a piddly blog post. I listened to the complete recordings while reading the books and I have to say, Shore's work made a perfect reading companion. 'Into the West' is a brilliant piece, maybe not that musically impressive, but god, it contained all the emotion. It makes my stomach churn (in a good, sad way?). All the emotion! I had after finishing the book. Shore knows. His music knows, guys. IT KNOWSSSS. Okay this post is getting out of hand. I'll stop now. It is times like these that I wish I was stronger with words, that I was better at putting emotion into writing. I mean, look at how many times I used 'emotion' in this post! It's near impossible for me to convey how I felt while reading this book and why. I just know. It frustrates me; I wish I could document this incredible feeling, this sense of awe. I almost want to cry at what a poor job I've done in writing this post, haha. 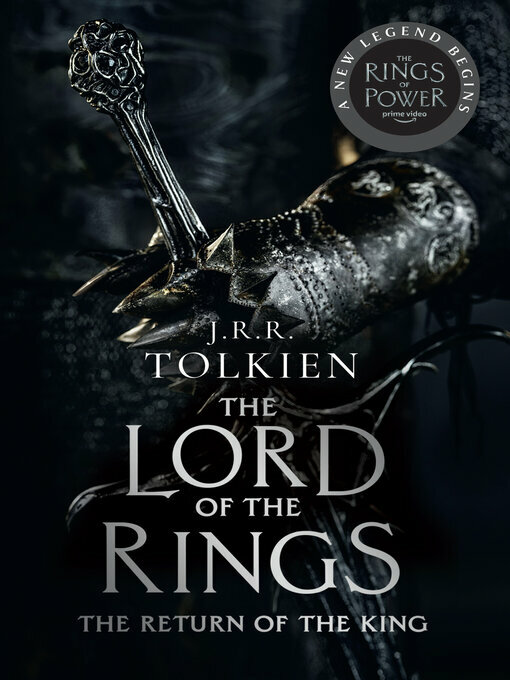 I've done my best to document my thoughts and feelings, but my writing does not do justice to how the book impacted me in a way no other book has, and just how much the story of The Lord of the Rings means to me.